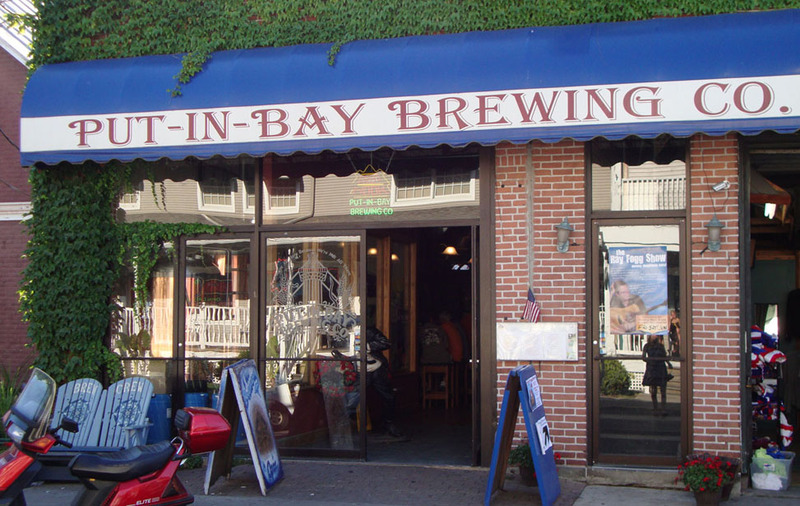 Put-in-Bay has more than enough beer, wine, and spirits to satisfy the largest bachelorette party. Guests enjoy imbibing in adult beverages as they listen to live entertainment at one of many Put-in-Bay bars and pubs. There is even a microbrewery on the island for exploring some new and unique island beers. 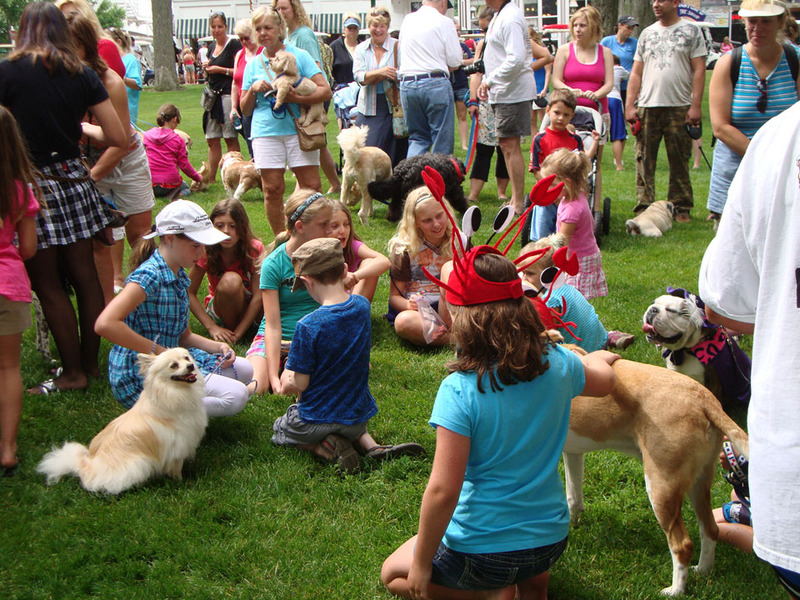 Try something new on your next Put-in-Bay island adventure! 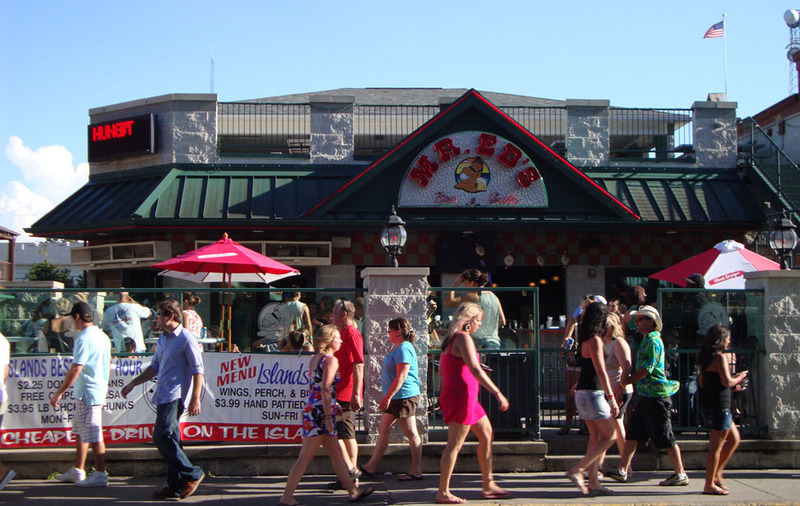 Mr. Ed's is definitely the place to be for lunch, dinner or late night on the island. 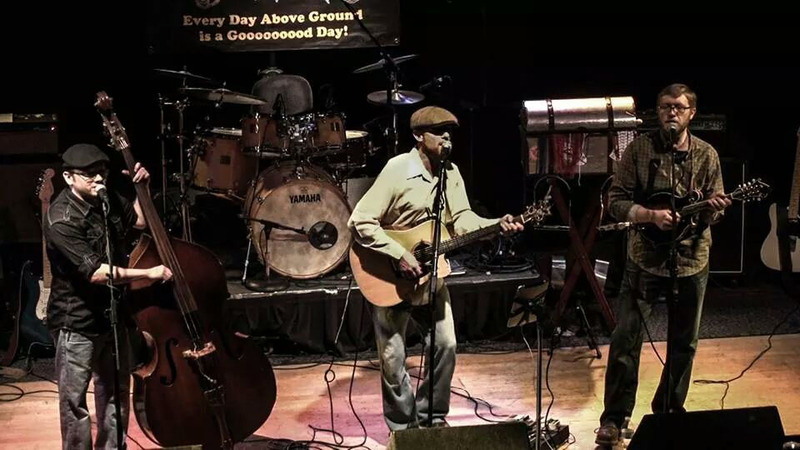 The happy hour prices are unbeatable - some of the best on Putinbay - as are the bands (always crowd pleasers) and the rooftop bar upstairs (The Green Room, where the view of downtown Put in Bay is amazing). The sports bar feel of the afternoon, where you can eat wings and watch the game on one of 15 plasma TVs, segues into an all-night indoor and outdoor party after dark. 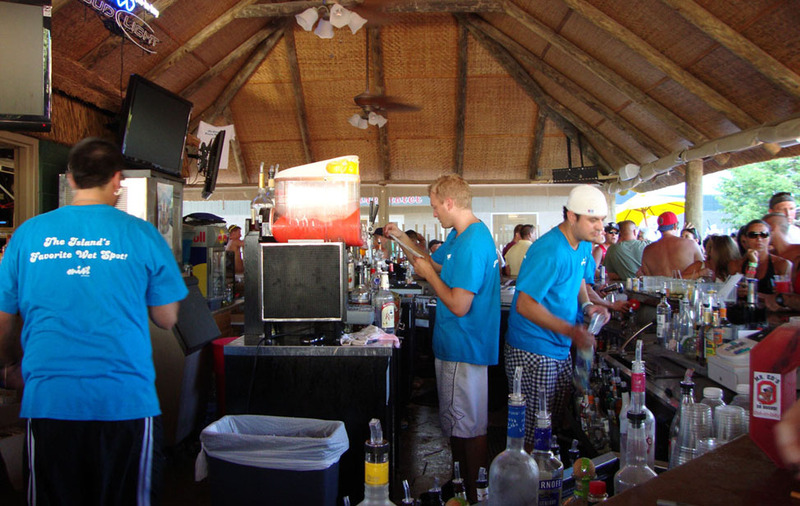 The tiki bar is the perfect place to get a head start on your island partying. Stop by weekend afternoons to lounge poolside and groove to music played by a live DJ. 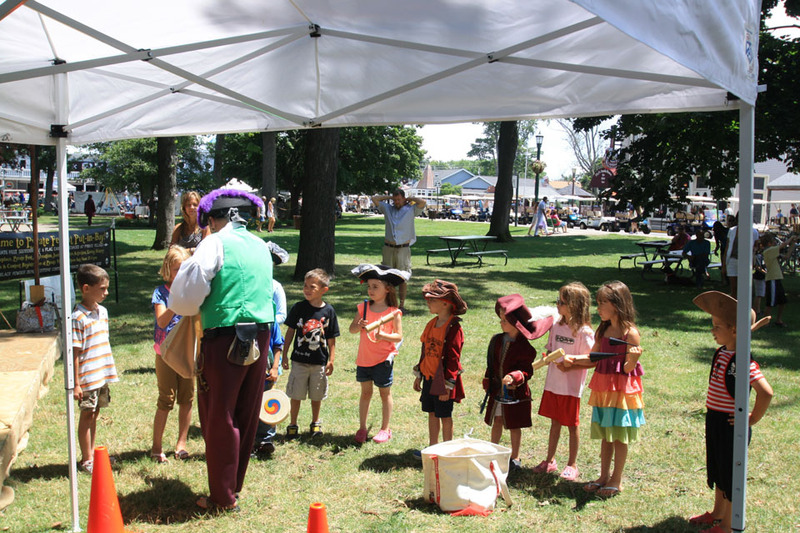 Contests for cash prizes are a great form of free Put in Bay entertainment. If you're missing spring break in Daytona or Panama City, come to the Tiki Bar, behind the Commodore Hotel in downtown Putinbay. Debuted in 2009... MIST! Come see the newest island tiki bar! A lakefront restaurant and bar serving some of the freshest seafood on the Ohio islands, including its world-famous Lobster Bisque, and a daily drink special including a margarita bar! The menu for this casual dining joint includes choices from a seafood lover's dream, like perch, Alaskan King Crab, and shrimp, as well as burgers, fries, and pizza. There is even Taco Tuesday and Sushi Thursday! 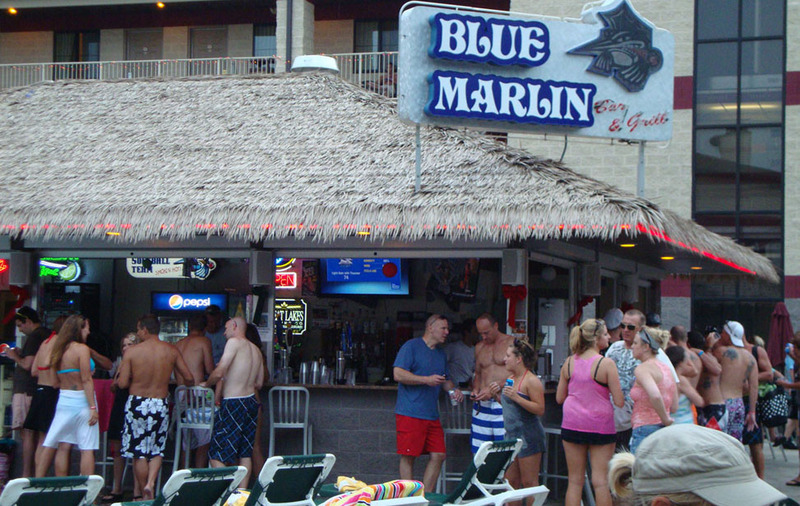 Located within the Put in Bay Resort complex, the Blue Marlin Tiki Bar is a favorite for both guests and islanders alike. Offering thirst quenching frozen tropical drinks and a full service bar, this hotspot will surely cool you off. There is also delicious BBQ food available from the Blue Marlin. Be sure to stop by and swim on up to the bar and cool off with us. The pool and bar is open to the public. Don't miss out on this PIB favorite! 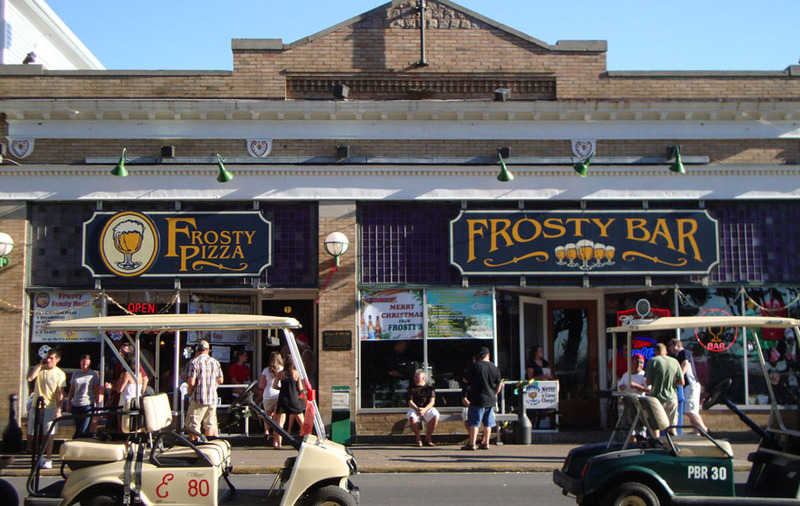 Enjoy a crisp and refreshing ice cold island beer in one of Frosty's frosted beer mugs! Combine that with a slice of pizza and a game of pool with your pals, and you're in Put-in-Bay heaven. If you're up before the middle of the afternoon the next day, stop by for a delicious breakfast. What do we love most about The Goat? It's hard to pick just one thing; there's the stunning scenery, the homemade soups and sauces, the vibrant-yet-chill atmosphere and some of the friendliest staff on the island. 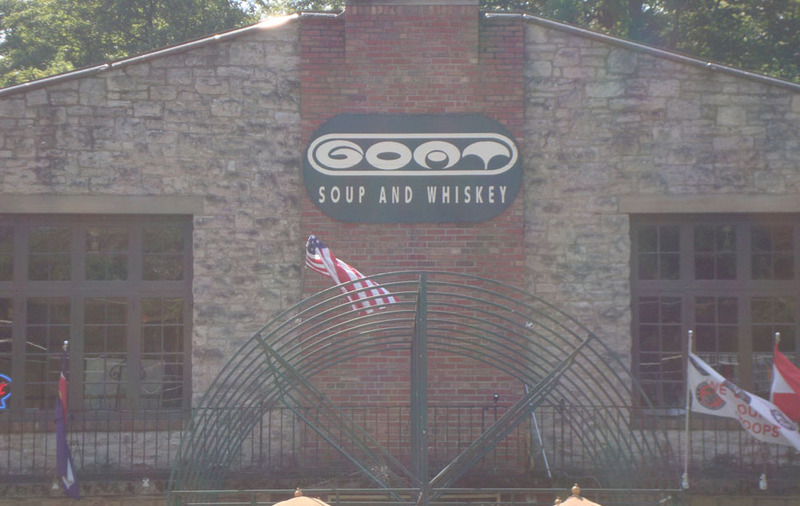 Everybody feels welcomed at The Goat, where you can eat comfort food at its finest. 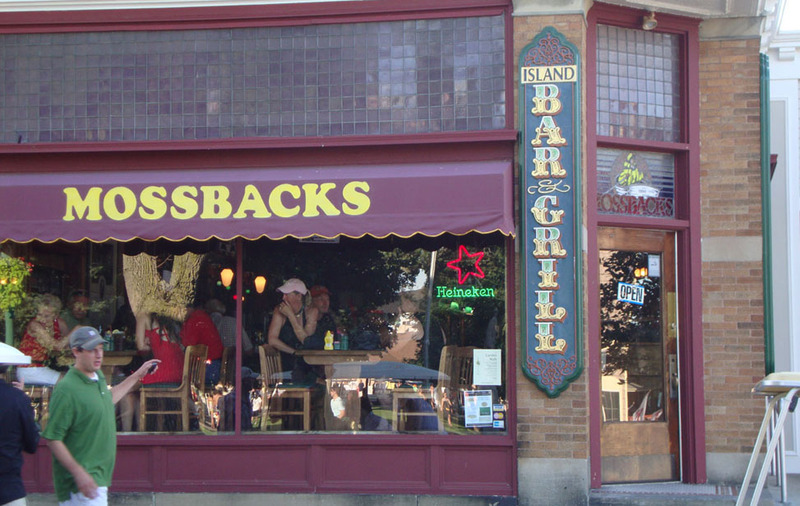 Mossbacks is an upscale restaurant with a relaxed atmosphere. Go for fresh walleye and perch, massive burgers, grilled paninis, steaks, chops or just the great view of DiRivera Park and the public docks on Lake Erie. Kids can choose a meal from a menu just for them. Mossbacks also has a full service bar with domestic and imported beers, scotches, bourbons and wine; or you can go next door to the Fishbowl for a drink. 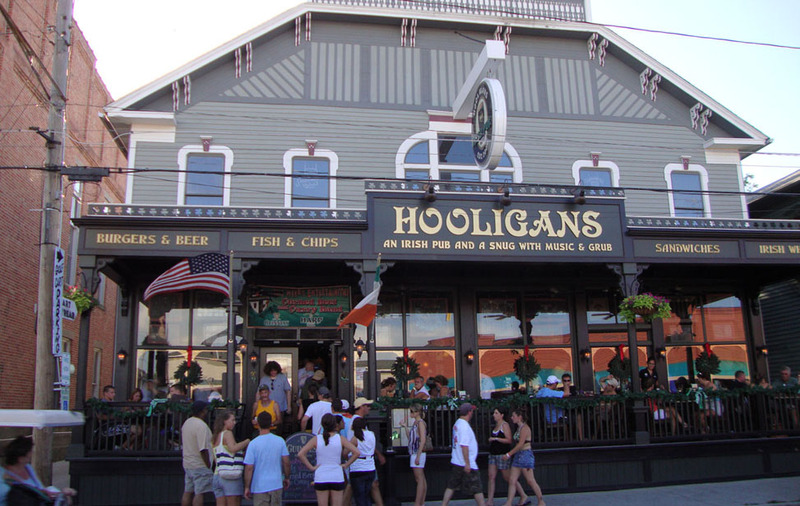 Big Irish sandwiches, soups and specialty desserts aren't the only thing Hooligans Tavern specializes in. With 20 different types of beer and cherry and grape bomb specials, their choice for drinks is quite extensive as well. Do a "Tiny Tini" shot and keep the glass. Check out the vintage video games and 50-inch plasma TV too. Located on Catawba Avenue in downtown Put in Bay, a block from DiRivera Park and Lake Erie. With a motto of "Beer is Food. Eat at Joe's," how can you go wrong? 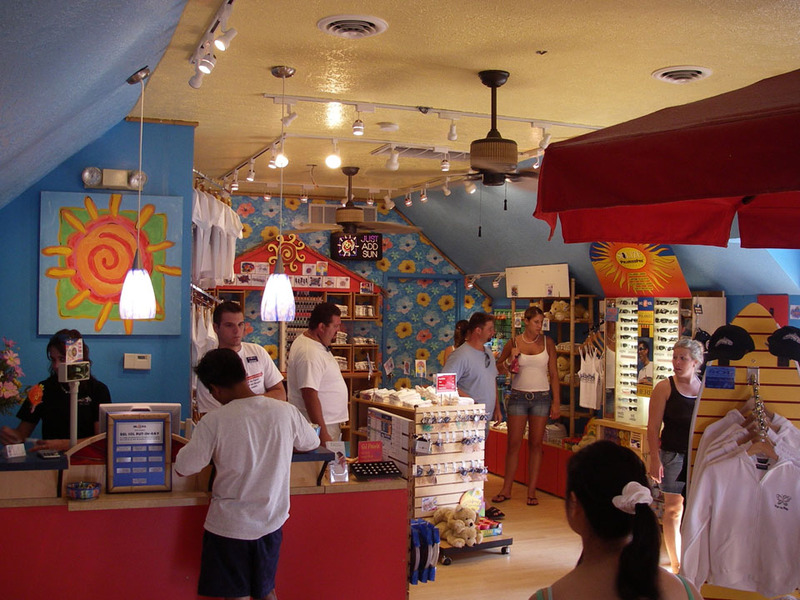 Stop by Joe's Bar to get a personal vibe and some local color - you'll swear you're in old Key West. 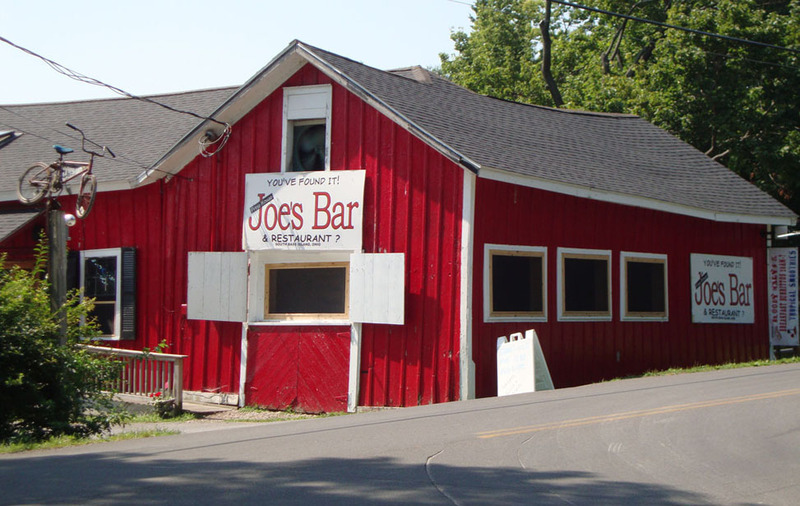 Joe's also serves surprisingly affordable sandwiches and dogs and has a carryout beverage store onsite. Did we mention that Joe himself is a pretty cool guy with lots of good stories? The Roundhouse Bar (RHB) has had a long tradition of good music, good friends, and cold beer for over 135 years. In the early years, it was extremely inappropriate and taboo for a gentleman and a gentlewoman to enjoy a cold beverage with one another in the same bar. 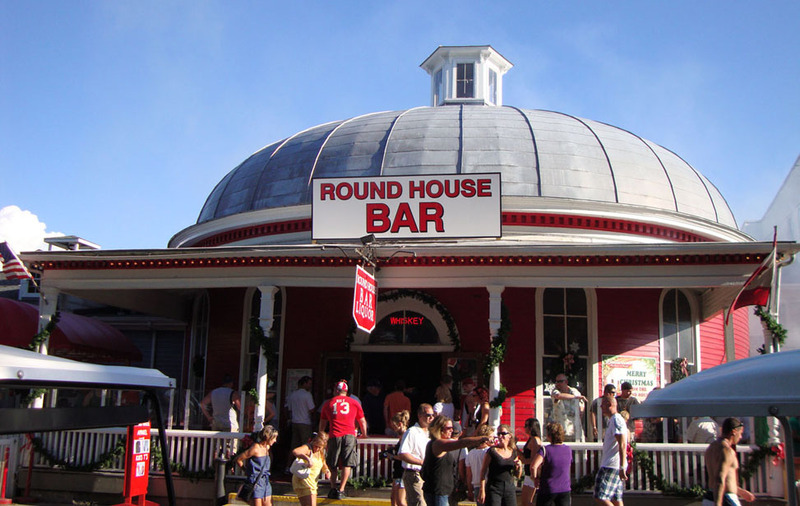 Always the trailblazer, The Roundhouse Bar eradicated this taboo once and for all and became the first drinking establishment on the island to allow men and women to share in a drinking camaraderie. Take in some sun and eat outside on the patio where a band is playing during the day or come back later for drinks and more live entertainment inside. 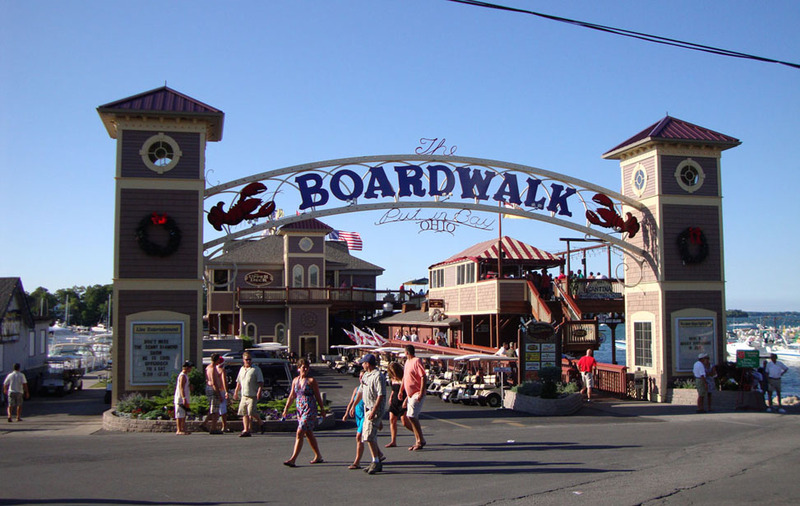 Either way you'll be treated to a great view of downtown Put-in-Bay and Diriviera Park. Little ones along? 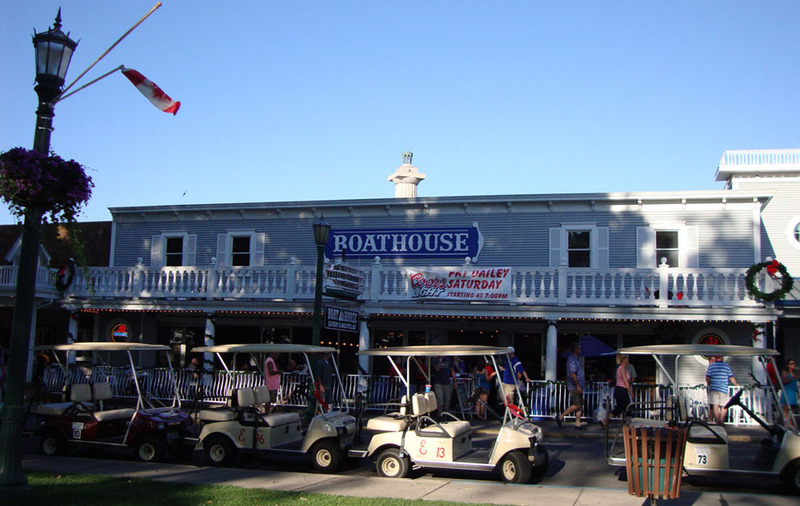 The Boathouse offers an extensive menu for kids. 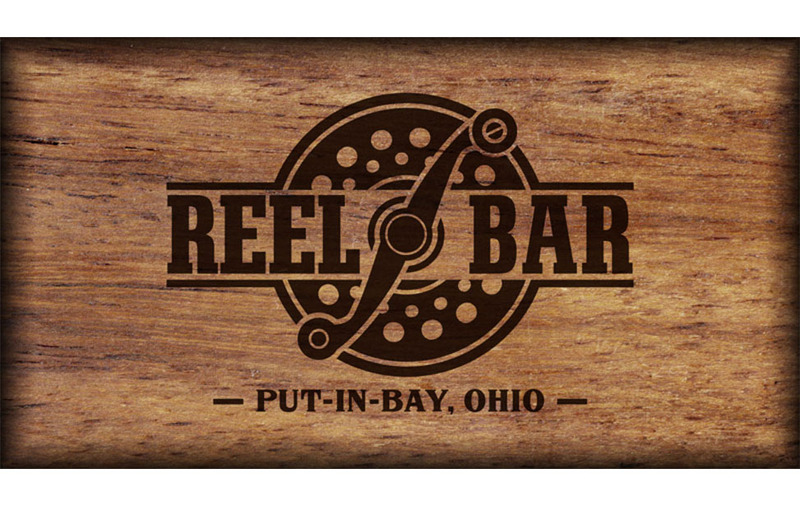 Reel Bar, referred to as Put-in-Bay's oldest new bar, is located next door to The Old Forge and The Brewery and across from Cameo Pizza at the edge of downtown. Our show room presents some great musical talent on the island while serving up unique fresh menu items. You can choose from some delicious all-natural burgers to our one-of-a-kind breakfast menu that has quickly become an island favorite. Don't forget to check out the expansive bar menu serving FRESH SQUEEZED cocktails and over a dozen draft beers. We are a new island experience in an old island way.